Skoda - I Say Ding Dong Shop - Buy Stickers, Decals & Unique Automobilia. 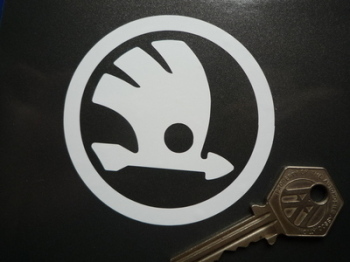 Skoda Auto Black & Silver Circular Logo Stickers. 4" Pair. 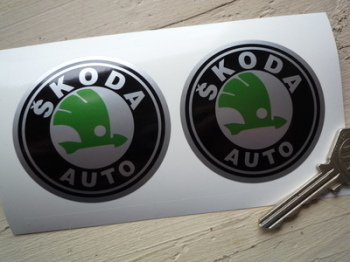 Skoda Auto Black, Green & Silver Circular Logo Stickers. 2.5" Pair. 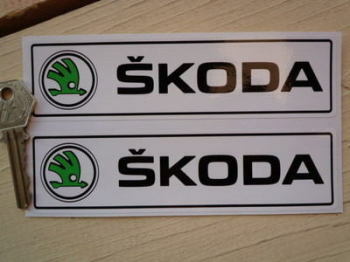 Skoda New Style Oblong Stickers. 6" Pair. 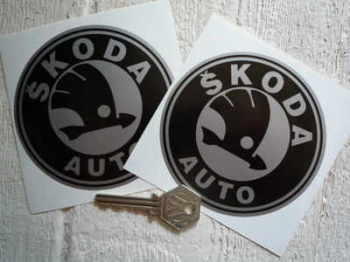 Skoda Number Plate Dealer Logo Cover Stickers. 5.5" Pair. 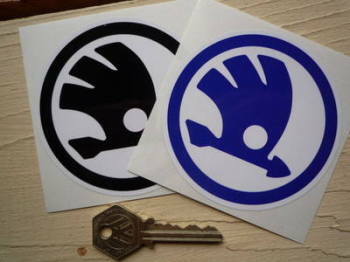 Skoda Old Style Circular Logo Cut Vinyl Stickers. 3" Pair. Skoda Old Style Circular Logo Printed Stickers. 3.5" Pair. Skoda Wheel Centre Stickers. Set of 4. 50mm. 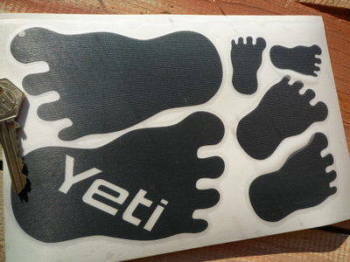 Skoda Yeti Footprint Stickers. Set of 6.